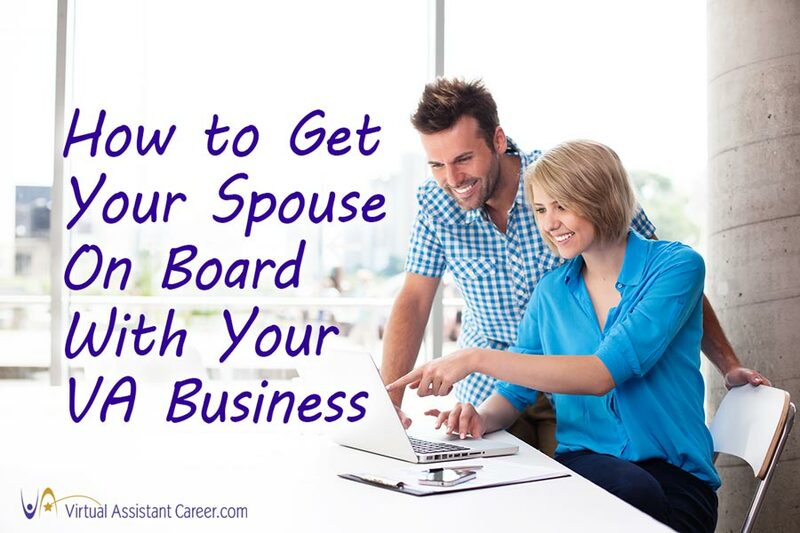 Is Your Spouse On Board With Your VA Business? Most of the time Virtual Assistants are female. There are plenty of male VAs but the fact is most are women (93%) according to our recent survey. Usually, they’re moms, wives, daughters, sisters, and of course best friends too. They’re also neighbours, community members, and more. Virtual Assistants often become VAs because they want to have more time to devote to family responsibilities. Usually, it has a lot to do with the cost of child care. 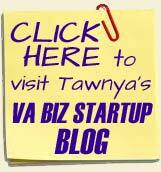 But, fantasies of what a VA business will be like are often just that, fantasies. When reality hits, you need to know what to do. Does Your Spouse (or Someone Else) Ever Do This? This is a common problem that is ages old. Even if you worked outside the home, if you allow it, he’ll keep doing this. He’ll come home and let you serve him if that’s what you want to do. He thinks you like it if you do it. The best thing to do in this case is to ignore it. Keep doing what you’re doing and don’t question it. He’s an adult and can do or not do whatever he wants, as can you. Don’t feel guilty or mad. Has your husband or even best friend asked you what you’ve done all day in a condescending or jealous way? That happens a lot. People have a strange idea of what it’s like to work from home. They apparently think you earn money by magic without devoting hours and hours to working. When asked, tell them. Tell them the minutia that they don’t want to know. They won’t ask again. Some spouses and even older children tend to wait for Mom to feed them. If dinner isn’t prepared at a certain time they’ll start buzzing around you like a pack of rabid, hungry dogs around 8 pm. They might say, “Don’t worry about me, I’ll get my own food.” As if that’s helpful when you have a family to feed. You can help your family by setting up a schedule where everyone must take part in preparing dinner. If you must work late, ask them to save you some leftovers. You want to buy something that’s not necessarily in the budget. You tell your spouse and they freak out until you say you’re going to pay for it via your PayPal Account. Then suddenly it’s okay. Because PayPal Money is not real money and it’s so unreal that they exclaim, “Oh Yay, PayPal Money!” To avoid this problem, and still get help with budgeting keep business and personal money separate. Pay yourself from your PayPal account on a regular basis. Announce what your paycheck amount was and keep your spouse and kids in the loop about income and expenses. This is very common for friends, neighbours, and family. They picture you doing absolutely nothing since you’re home anyway so they think it’s okay to ask you to watch sick kids, pick up a package and run other errands. It’s your job to learn the word NO and say it as often as you can. In the beginning, you may have to say it more than you even want to for people to get the picture. When Are, You Getting a Real Job? This is probably the worst, but some of your family (and even friends) may decide to volunteer you for things. They’ll tell people, “Call Sally, she’s home all day so she can do it.” Really? If this ever happens to you, just say no. Tell the person they’re sadly misinformed and that you run a lucrative business and do not have time to do the tasks. Then ask the offender to not do that again. Standing up for yourself sometimes is difficult. It can be scary because you don’t want to make waves. But, you have a right to the same sort of life as everyone else. If other people get time to read, or sit and watch TV without multitasking then so do you. Take the time to point out what you do. Make a schedule for everyone to share in a fair way, household chores, and never ever say you are unemployed or “just work from home.” Be clear about what you do, and soon enough people will catch on. 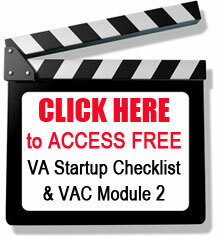 Want to learn more about Getting Your Spouse (and Other People) on Board with Your VA Business? 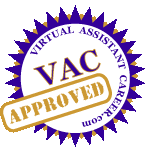 Pop on over to our FREE Virtual Assistant Forum and learn how others are doing it.